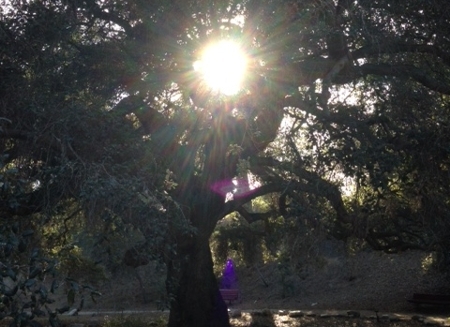 If you are referring to the blue figure next to the tree I think it is just part of the lens flare. There is a lot going on in this picture. The purple figure has been seen by many people. It is a ghost of a little Indian girl. To the right in all the fuzziness you can see an evil figure.